Hey everyone! 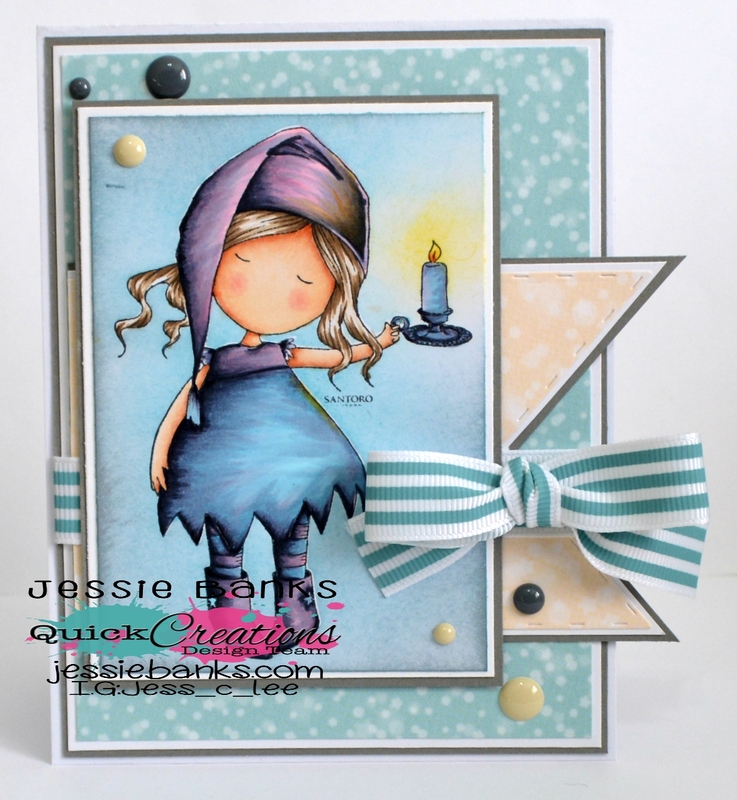 Jessie here today with another card for Quick Creations! I coloured up Gorjuss Girl “nightlite” stamp with my copic markers, aand inked the background with distress inks. I matted a couple layers patterned paper from the Lawn Fawn “Let’s Bokeh” paper pad, ribbon from my stash and Simple Stories “Claus & Co” Enamel Dots finished off the front of this card. Hey everyone! today I have another DT project for Quick Creations! I coloured up Garden Marci with my copic markers. I am sorry but I didn’t write down the colours used on this one. I have been a little hooked on the Bo Bunny Calendar Girl paper pad, the floral in there is to die for! Just a few simple layers of pattern paper some Wild Orchid Crafts Flowers and a twine bow finishes off the front of this fairly simple card.